Sandra Conville is a 1967 graduate of Mercy Hospital School of Nursing in Pittsburgh, PA. She relocated to New Jersey and raised her 3 sons in Bordentown, NJ. In 1998. She returned to Pittsburgh and remained there for the next 16 years, working as a nurse and caring for her parents. In 2014, she returned to Bordentown to be near to her youngest son, and family. He is a former US Marine Sergeant and current local Police Sergeant. Her middle son is an IT Specialist for a hospital in Massachusetts. Her eldest son is retired from the USAF where he piloted the Lockheed C130 and Boeing C17 aircrafts. Sandra is a retired Registered Nurse, whose career spanned 50 years. Highlighting her career are positions of Practice Manager for the University of Pittsburgh Medical Center; Administrator of a Physician Practice in Burlington County; Business Department Supervisor for a large Medical Group in Princeton; and Public Health Nurse for the Frontier Nursing Service in Kentucky. Her longstanding interest in the Military stems from extensive family involvement during WWII, Korea, Viet Nam, Iraq and Afghanistan. 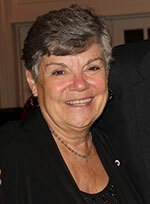 She is an active Board Member of the Armed Forces Heritage Museum. She serves as a docent at the Mobile Museum as it travels to community and school events. Additionally, she has recently assumed responsibility for the museum’s website and social media activities.